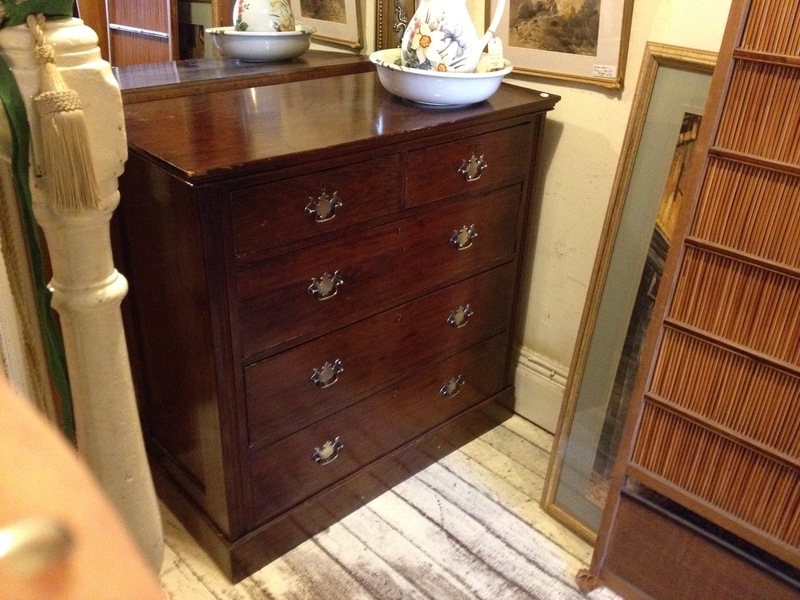 Made in England around 1950 this reproduction chest of drawers features Beautiful burr walnut veneers and solid brass bracket handles. A low reproduction chest of drawers made in the Georgian style. An elegant and useable piece of furniture that could be used against the wall or even at the bed end. From the early 1900’s a practical bs attractive heat in the Geogian style. Oak $245.